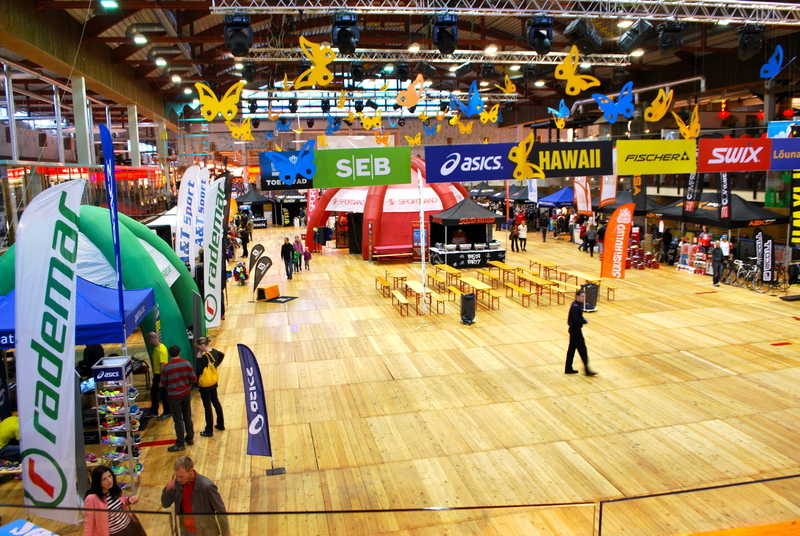 Originally I didn’t plan to get my starting materials for the race before Sunday, the race day, but since I was tired of studying and needed to get out of the house, I decided to go to the expo in Lõunakeskus and get my stuff late Friday evening. I love the feeling and vibe at sports events and the expo was no exception. I felt nerves kicking in when I picked up my number/bib. I hadn’t run in over a week (and the last run hurt as hell). I had no idea if my injured ankle had healed enough or not. I had the bib but I was still not sure if the race was even going to happen for me. 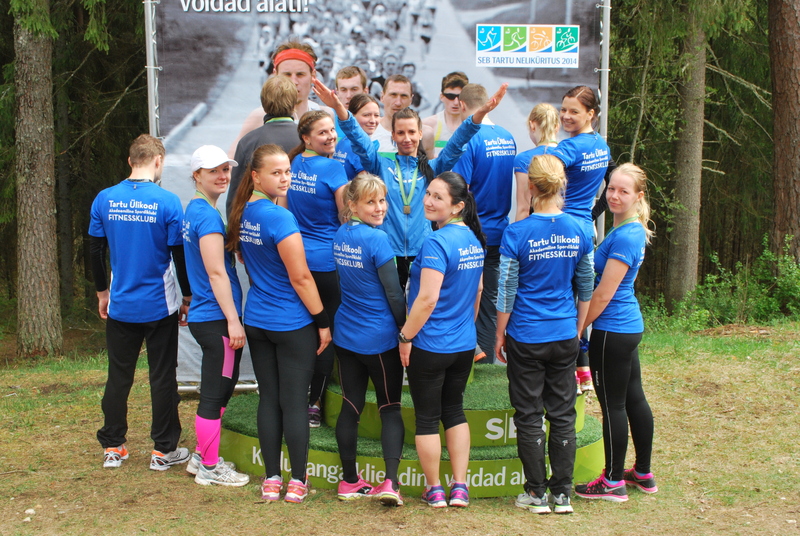 On Saturday was the 4,3K Charity Run in Tähtvere Sports Park to support South-Estonian rheumatoid children’s therapeutic water gymnastics classes. 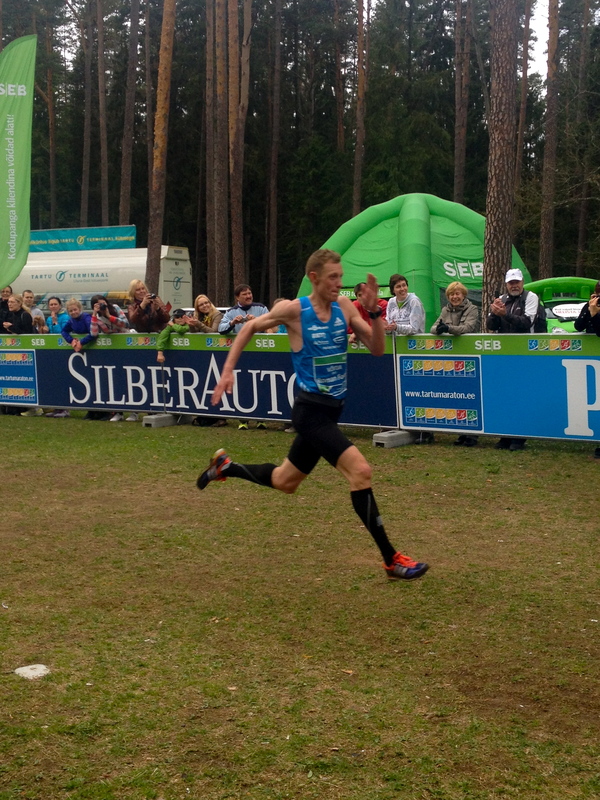 It was a big moment of truth for me: can I race 10K on Sunday or not. I don’t think I have to mention how nervous I was that day. The weather was good although the forecast promised rain. It was cloudy but dry and warm, around 16–18 degrees Celsius. On my way to the start, I met Marin again. We chatted a little and that helped me calm my nerves. 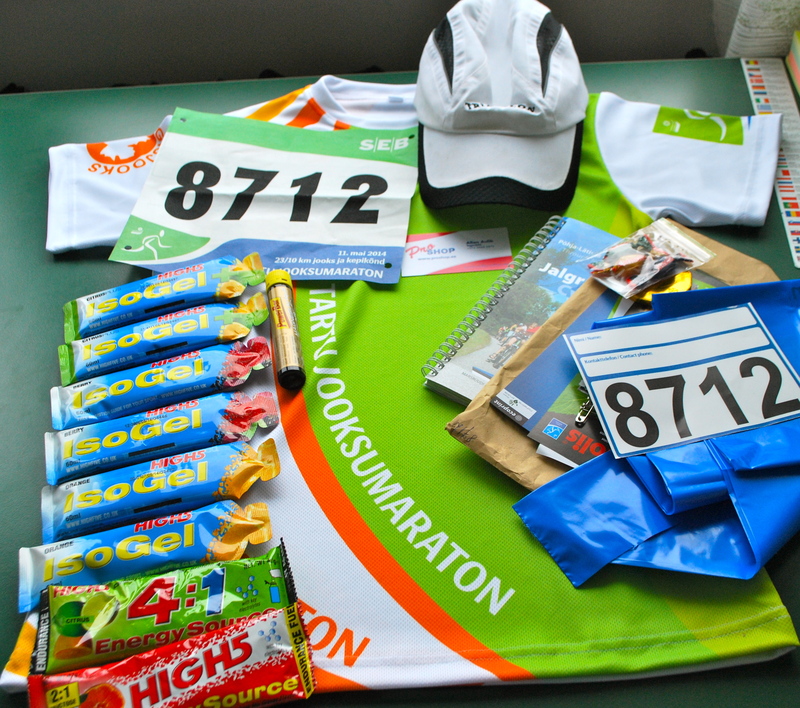 Then I got my bib/number, put my stuff away in a bus and searched up my running group. We looked great in our blue TYSK T-shirts. On the last minute, my coach Maris also found us. We ran the whole way as a group. There were lots of people (but since it was charity, that’s a good thing!) so our pace on the first kilometre was around the 8 minute mark. Really really slow. Later our speed went up a little. I almost managed to strain my other ankle by stepping on a rock. Had it been my left foot, I don’t think I could have continued the run. I had some luck fortunately. My injured left foot did not hurt at all. I was relieved. Can’t say I was happy because I didn’t want to get too over-enthusiastic. I was still anxious about the actual race on Sunday. Then we got some water, diplomas, chatted a little and went home. I foam rolled my legs really well, did some ice-cold baths for my feet, rested and studied. It was hard to concentrate. I was just too anxious and excited for Sunday. Sunday morning began with sleeping in until 9 AM after watching Eurovision until 2 AM, grabbing some pre-race breakfast (oatmeal+banana), wishing my mom happy mother’s day and getting to the bus station by 11. I was pretty nervous. My only goal was to finish the race. The under 1 hour goal had left my mind after the injury. I met Kristel in the bus station so at least we could chat to calm our nerves. We got to Elva around 11.30 AM and had roughly 1,5 hours until our 10K start. It was pretty cold outside (9 degrees and cloudy) and I even regretted not taking a long-sleeved shirt with me. We walked around, saw the winner of the 23,4K distance finish, then stood in the toilet line and by then, it was already time to put away warmer clothes, warm-up and get to our starting corridors. The weather had warmed up and wearing a T-shirt was just fine. The winner: Roman Fosti. 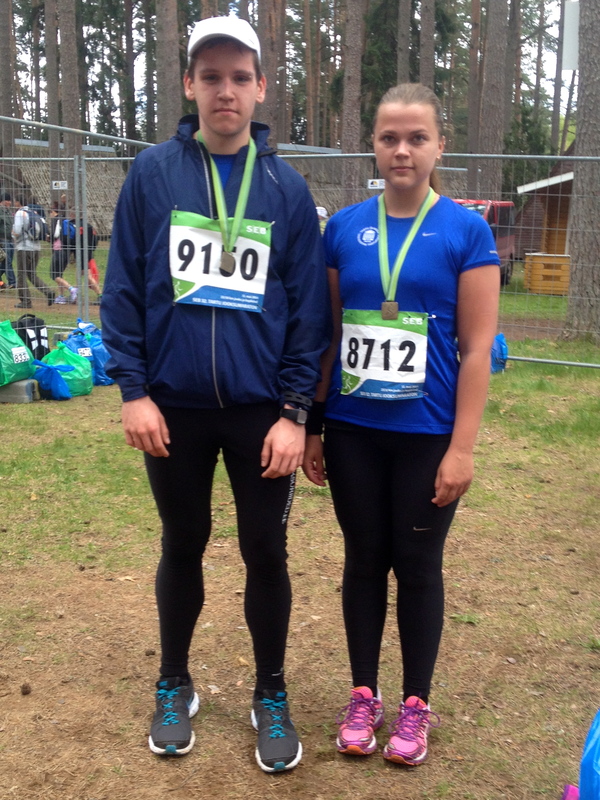 Finished 23,4K in 1 hour and 15 minutes! Man, it was crowded! 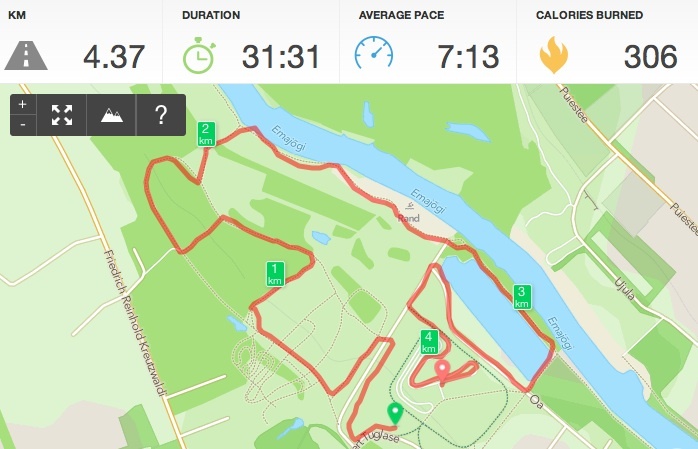 Just as I had pushed “Start activity” on my RunKeeper and it was time to start, I remembered that I hadn’t reset it to tell me my pace after each kilometre. It was set to tell that after every 15 minutes (like it was set for my biking session last week). Oh well, there was nothing to do about that. 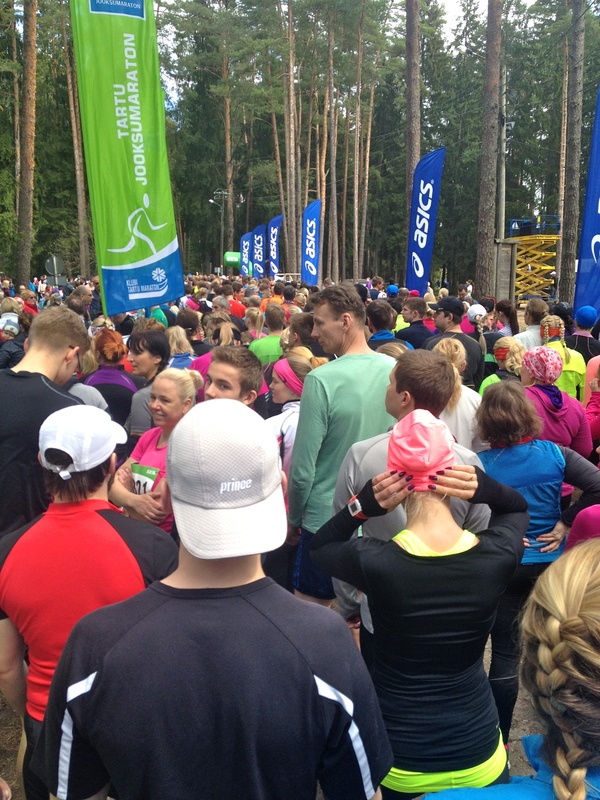 The first kilometre was more or less being stuck in a crowd, trying to get pass everyone and find some room to run. After the 2nd kilometre things got a little better. But suddenly it was pretty humid and hot out. Somewhere around the 3rd kilometre I found myself thinking: “Is this supposed to be that hard?” That’s when I actually heard my RunKeeper tell me about my average pace and no wonder why it was hard. I was going fast for my fitness level! Slowest: 1st km. Fastest: last km. The only thing I thought about during the run was my left ankle. Is it fine? Is it hurting? Can I go faster? Should I slow down? etc. But oddly enough, it didn’t hurt at all. When my RunKeeper told me the stats at 30 minutes, I realised I had a chance to finish under an hour if my leg held up just as good. Positive news that made me pretty excited. 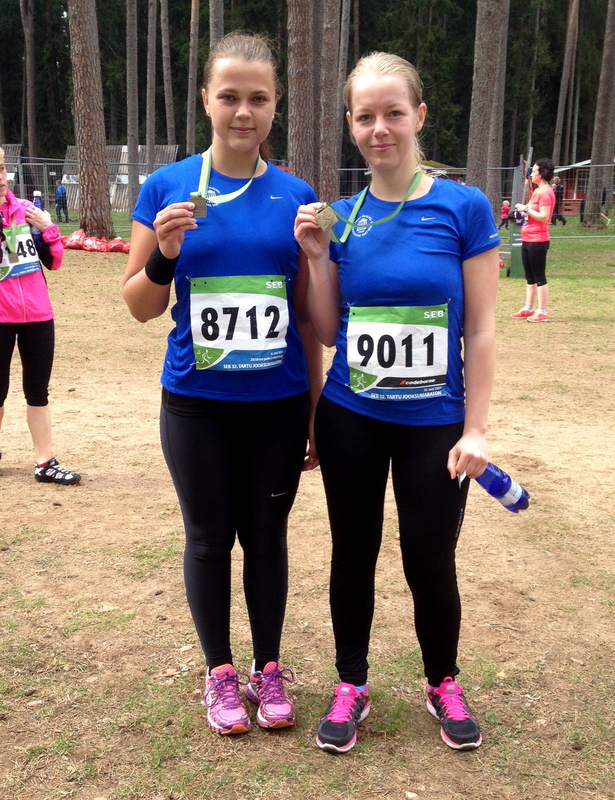 Just before the last drinking point on the 7th km, I ran pass my university friend Laura. I also saw many other familiar faces on the track and even managed to pass some of them. 45 minute mark. 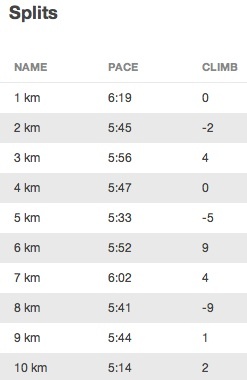 7,6-something kilometres were done. It was hard, I was giving it my all. Still no pain in my ankle. I knew I could finish under an hour. A goal that was set some weeks ago after my IV Virtual Run was slowly (or rather fast actually) becoming a reality. 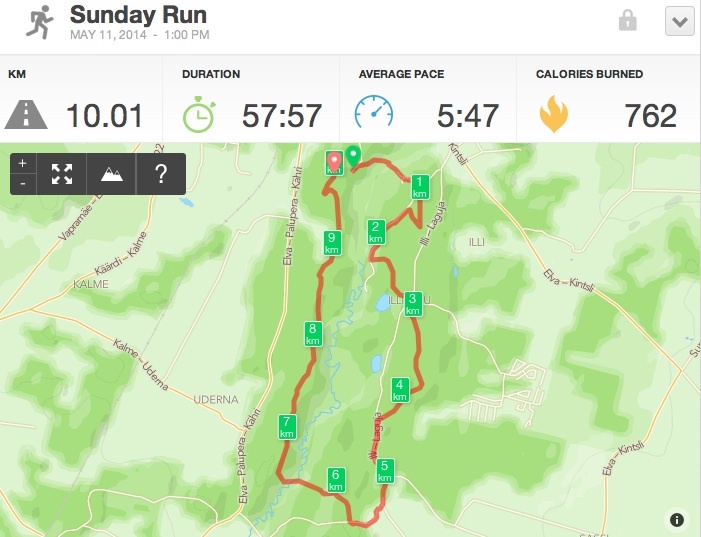 Injured, recovering, off my running trails for 1,5 weeks but pain-free, improving my personal best for 10K and accomplishing goals once so unrealistic? Before I realised, it was 1K until the finish line. More people cheering by the track. The finish line in my reach. I don’t know what happened there but I don’t think I’ve ever run that fast in my whole entire life. I just sprinted to the finish line, passing quite a few people. I almost felt like I was going to throw up, that’s how much I was pushing it. 50 metres to the finish. 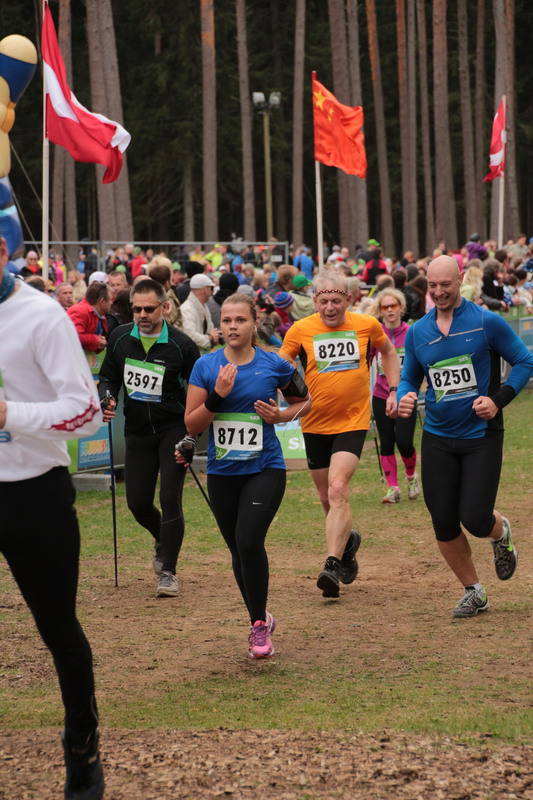 Pass that last man on my left, sprint… and I’m there. I was so in the zone that I didn’t even look at the time monitor before finish. I don’t even know which song was playing in my earphones. 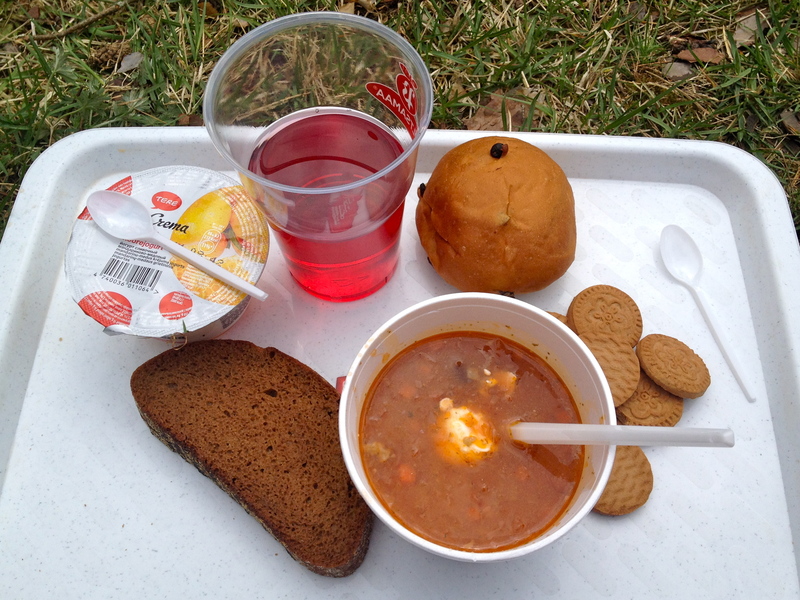 Then it was time to grab some free food (lots of carbs to refuel) and get the bus home. I have to admit: my legs were pretty tired when I finally got off the bus but some foam rolling at home did them good. In the evening it didn’t even feel like I had just ran 10K with a personal record. It had been an awesome day. 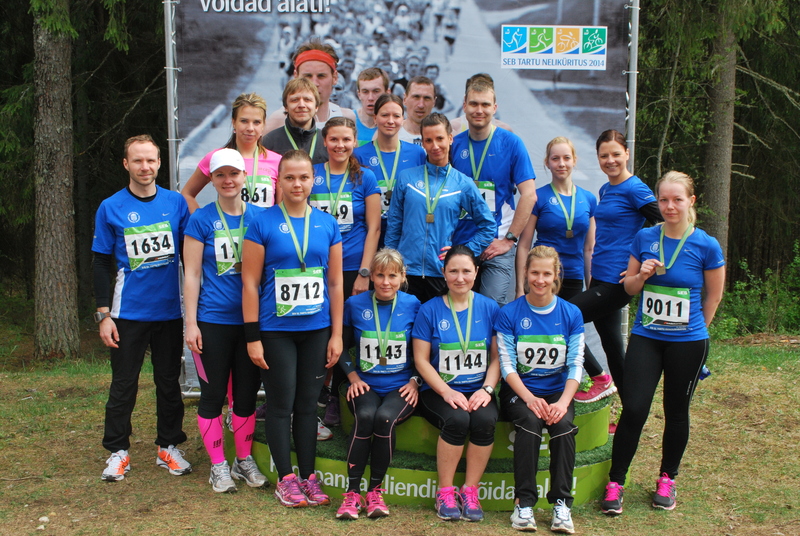 Can’t wait for Tartu Olümpiajooks coming up in less than 2 weeks!